The modern smartphone is a very capable computing device. The Android operating system paired with over one million apps in the Google Play Store leaves very little that cannot be done. With the addition of larger screens in the tablet sphere, it becomes even easier to tackle productivity tasks, and better enjoy entertainment. For many, there are key functions that a PC can perform that a smartphone or tablet cannot yet do, at least with ease. Primary of which for many is to operate the full Microsoft Office suite or take out the enemy in one of the many games that have graced the Microsoft operating system over the years. 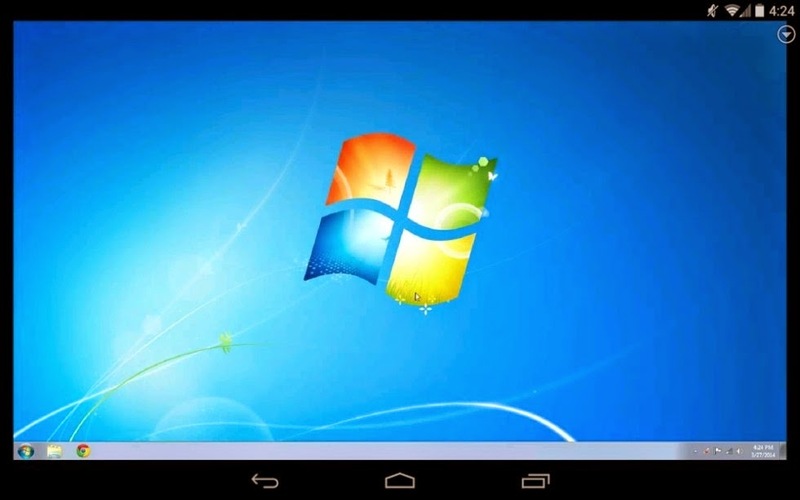 One of the surest ways to introduce PC functionality onto a mobile device is through a remote desktop connection. Remote desktop allows the user to use one device to connect to and control another device. In this scenario, your mobile phone or tablet would connect to your home computer and put it to work. With this ability, the mobile device does not need to be able to perform the hard tasks, and you do not need to take your PC on the go. I will admit that the technology is good, but not perfect. The navigation tools are all there, but the method to enact them is still a little un-intuitive and some would call it choppy. Let's look at a few of the tools that I use to remotely connect to another machine. Before we talk about anything else, safety first. The great news for both applications we are about to discuss is that they are very restrictive in terms of who can connect and how. Both are very easy to operate, simply provide the supplied credentials to the controlling party and you are up in no time. The credentials are limited use, so the controlling party will not be able to connect again without your authorization. As the default action is to require a user on both ends, both options today also provide a method to permanently install the receiver software, so that you can remote in with a set password without needing to touch the receiving device. I have been using TeamViewer for a long time now, it is very easy to use and is very versatile for both personal and business use. For basic usage, there are two pieces to their software, the first the receiver application, to be run or installed on the machine you wish to take control of, and the other piece is the controller application, which you would want on your tablet or smartphone. 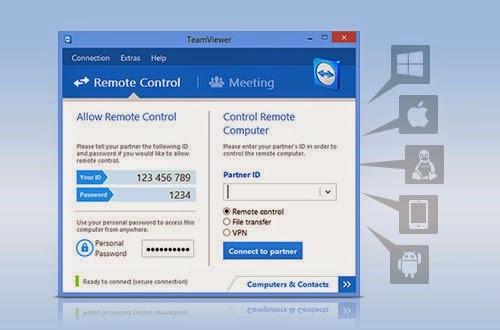 I spoke of TeamViewer in the past, go check that out for more details. Alright, if you are an Android user, you are likely fairly well connected with your Google account, as such, you probably use the Chrome browser here or there as well. Good news, Google has baked a full remote desktop client into a Chrome extension and Android app for our viewing pleasure. I wrote about this in short detail on Android Authority when Google brought the remote desktop tool to Chrome Beta earlier this year. It is very exciting that Google quickly graduated the project to the stable release. 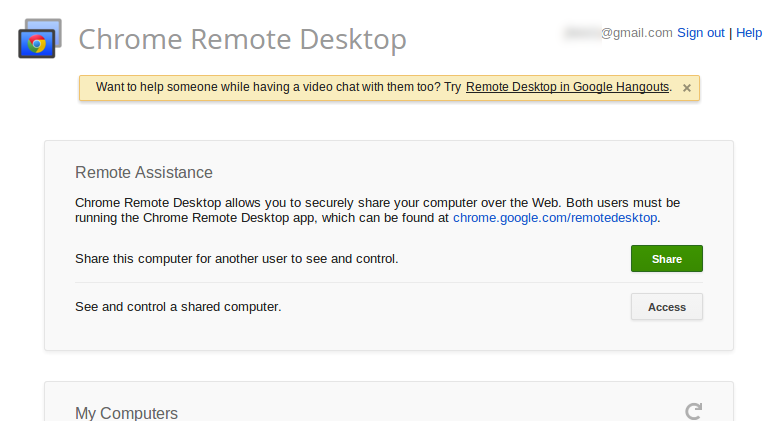 Chrome Remote Desktop follows the same basic rules, you need to do a bit of configuring to allow an incoming connection, and then you need a second device to tap in and do the controlling. I have recently used both of these tools to help write an article while I was on the go. I connected in from my Nexus 7 tablet, both tools operated smoothly over a 3G connection, neither gave any drops or hang ups. I have found that TeamViewer requires more computing power on the receiver end, but that is a fair trade considering the extra tools it provides. Have no fear the next time you need to hit the road, just leave a PC at home up and running with one, or both, of these remote desktop applications installed. Have you used either application, what was your thoughts?